In 1964 a new dental condition was termed: cracked tooth syndrome (CTS). Cracked tooth syndrome is diagnosed when a tooth has a hairline or incomplete fracture of the tooth dentin, pulp, and/or root. These hairline cracks are frustrating to dentists; CTS is difficult to detect and diagnose, because the fracture is often too small to be seen on an x-ray. At times, a crack may extend into the pulp or root under the gum and therefore be hard to find and identify. Cracked tooth syndrome is most commonly seen on the back molars, which take the most impact from chewing. Grinding/clenching the teeth and jaw. Grinding and clenching places prolonged pressure on the back teeth and can eventually lead to a fracture or split in the back molars. Uneven bite/tooth alignment. 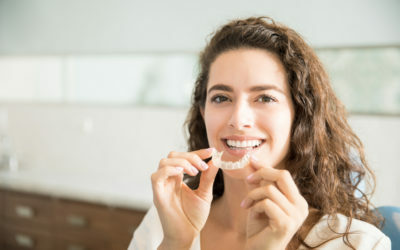 If teeth are out of alignment, then biting down and chewing will put too much force on areas of the teeth that are not meant to bear the brunt of the bite. Over time, this excess force can lead to cracks. Large fillings/prior root canals. Teeth with large fillings or prior root canals are weaker than healthy teeth and more prone to cracks and fractures. Chewing hard foods/objects. Chewing on ice, pencils and pens, hard candies, and other unyielding materials increases your risk for CTS. While teeth are incredibly strong, constant force will wear teeth down and weaken them over time, leaving them vulnerable to cracks. Another obstacle in diagnosing CTS is symptoms that may mimic other conditions, such as temporomandibular joint dysfunction (TMJ), sinusitis, or even a cavity. Typically, the signs of CTS are pain and sensitivity when eating hot, cold, or sweet foods, or biting down in a certain way that puts pressure on the fracture line. One way to tell the difference between cracked tooth syndrome and a cavity is to take note of the pain: cavities cause a constant ache in the decayed tooth, while CTS causes pain only during the act of eating or biting down. Symptoms may persist for months while your dentist rules out all possible diagnoses of tooth pain – a diagnosis of CTS is primarily made on the basis of symptoms, through process of elimination. There are several steps your dentist will take to determine if you are suffering from cracked tooth syndrome. A mouth x-ray will be taken, although hairline cracks are often not visible on x-ray imaging. 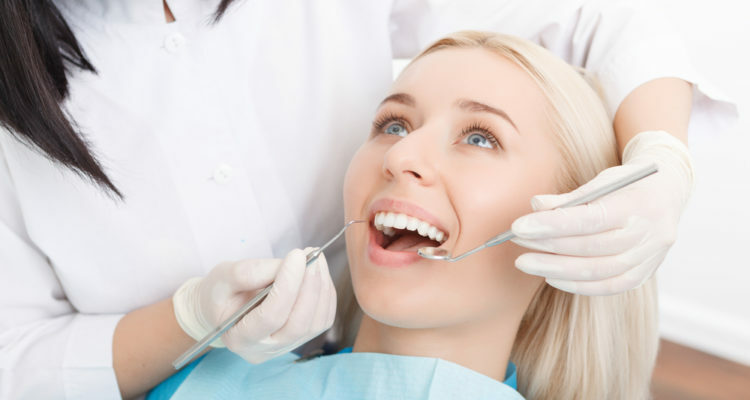 Your dentist can also use a thin, sharp tool called an explorer to run along your aching tooth and check for cracks. A dye test may be performed to illuminate fracture lines. 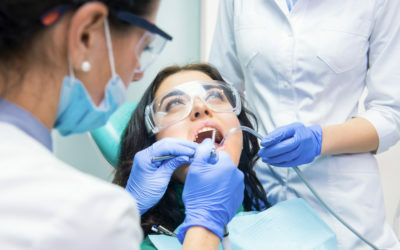 One of the most effective tests for diagnosing CTS is the bite test – you will be asked to bite down on a tool that fits over one part of your tooth at a time. This way, your dentist can narrow down the exact location of tooth pain. Although cracked tooth syndrome is difficult to both see and diagnose, treatment needs to be put into effect as soon as possible to prevent further complications. The biggest danger of an untreated hairline fracture is that the crack will worsen and cause a piece of the tooth to fall off. Fractured teeth also increase the risk of infection or abscess developing in the gum surrounding the damaged tooth. And a crack that advances in a tooth with previous repairs could even displace fillings or crowns. Bonding is a less expensive solution to repair fractured teeth – composite resin will be applied over the cracked tooth and the plastic material will bond with the natural tooth. If the crack is in the cusp (highest point) of the tooth, a crown or cap can be applied. If the fracture reaches the pulp of the tooth, a root canal will be necessary. This is not always an effective treatment: after a root canal, the nerve sensation will be gone, but the tooth may still feel pressure and pain from biting down. If the fracture reaches all the way to the tooth root, located in the jaw, the entire tooth will have to be extracted. People with CTS are more likely to suffer other cracked teeth, either at the same time or in the future. 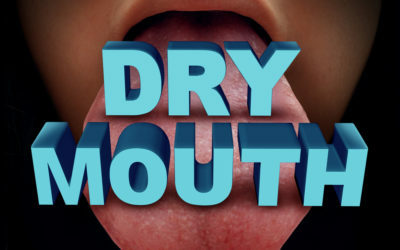 Because cracked tooth syndrome is difficult to diagnose and the pain is unpredictable, it is crucial that you inform your dentist anytime you are experiencing persistent tooth pain. If your dentist suspects you have cracked tooth syndrome, you’ll be referred to an endodontist, who specializes in tooth pain and root canals. If you are experiencing tooth pain, do not wait any longer to see a dentist; call Boyett Family Dentistry at 863-294-9200 and schedule an appointment with Dr. Boyett today.